Atletico Madrid striker Antoine Griezmann may have been the subject of a fresh round of transfer speculation heading into next month's transfer window, but his club have insisted he will not be allowed to leave in January. The arrival of Diego Costa at Atletico Madrid has sparked debate over Griezmann's future, with Barcelona believed to be at the front of the queue to sign the French striker who rejected a move to Manchester United last summer. Yet it seems that Griezmann will not be allowed to leave Atletico until next summer at the earliest, after these comments from the club's CEO Miguel Angel Gil Marin. "It is impossible that he will leave this team before the summer," Gil told Spanish TV channel Mega. "Last summer we made a great effort well beyond the club's possibilities and we will do it once again next summer. "We have struggled to join together these two players (Griezmann and Costa) and I think it will be very good for the two to compete together. It will be very good for Atletico and it will be good for the coaches. Until July 1, his [buyout] clause is €200m. "Atletico do not want to sell him, not now, nor in the summer. For us he is a very important player, who has grown a lot with us and we have grown with him. Our intention is to continue growing together. I would love him to continue." 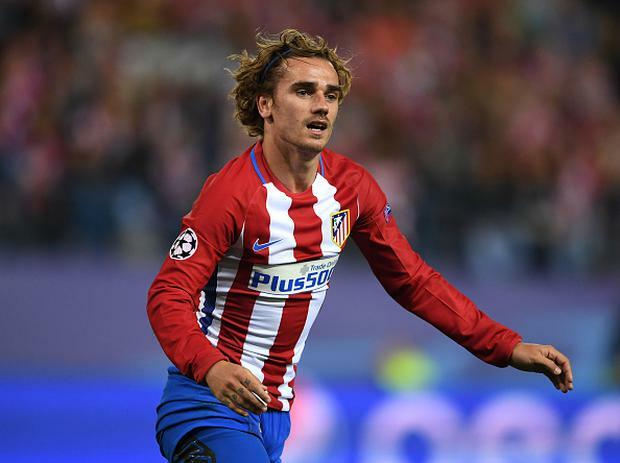 United boss Jose Mourinho has continued to be linked with a move for Griezmann, but Barcelona are now tipped to sign the striker as they look to fill the void left by Neymar's world record breaking move to Paris Saint-Germain last summer. However, Atletico have infuriated by Barcelona's aggressive pursuit of Griezmann and will demand a huge fee from the Catalan giants to part with their star striker. By Andrew Baldock, Press Association Sport Liverpool boss Jurgen Klopp described the Cardiff City Stadium playing surface as “dangerous” after his team reclaimed top spot in the Premier League.